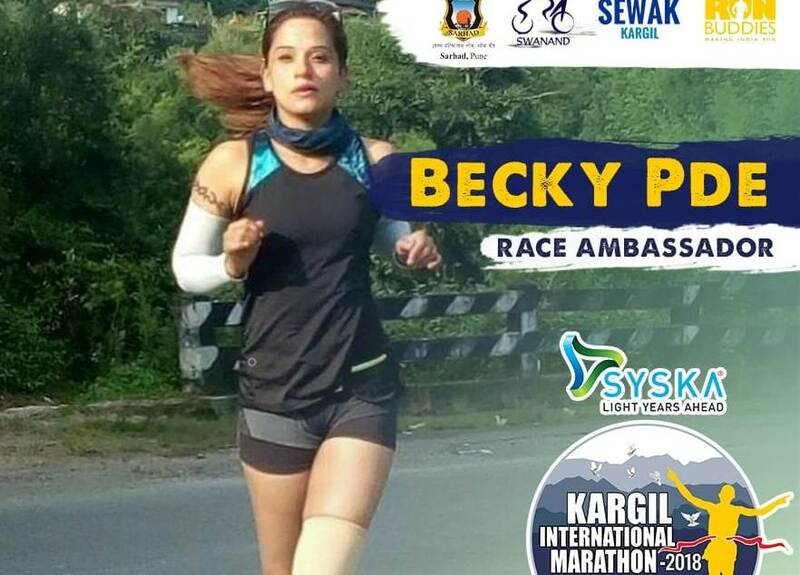 Meghalaya’s marathon runner Becky Pde has been selected as a race ambassador of Kargil International Marathon-2018. Sarhad, a Pune-based NGO working for the people living in the border regions, is organising this Kargil International Marathon on September 1 and 2. Becky is a Shillong based marathon runner and has already participated in several marathons across the country including GUwahati City Half Marathon and Mumbai Marathon. The marathon will be conducted in six categories. On September 1, the marathon in three categories—60 kilometres, 120 kilometres and 100–miles will be flagged off at Kargil town in Jammu & Kashmir, Yash Raikar, a co-organiser of the marathon, told Northeast Now from Pune. The others three–42 kilometres, 21 kilometres and 5 kilometres–will be flagged off September 2 from Kargil Tourist Centre in Jammu & Kashmir. The objective of the marathon, the organisers say, is to show Kargil as a potential tourist destination with focus on sports and to commemorate India’s war heroes.